Mix all the seasonings in a mixing bowl and set aside to marinate the lamb. Cut lamb shoulder meat into medium dice, roughly 5 cm x 5 cm cubes. Marinate the lamb cubes with the seasoning made earlier. For best result marinate at least 3 hours in advance. Using the Weber Kabab Set, Skewer the meat onto the Metal skewers. 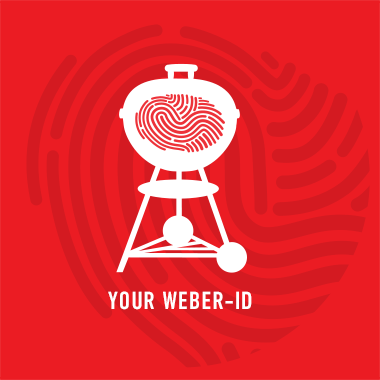 Preheat the Weber Grill to 200 Degrees Celsius and prepare for Direct Heat. If using a charcoal barbecue, you will need ¾ Weber Rapid-fire Chimney Starter of lit briquettes. Place the Skewers Directly onto the cooking grates over Direct Heat. Cook for 2 minutes on each side, until caramelized. Check that the internal temperature has reached 70 degrees Celsius with the Weber Instant Read Thermometer. Repeat process until all meat has been cooked. Serve with Chili sauce or Sambal.